Please set up a monthly gift to help children like Alex. $18.24 can feed 3 children every month! Alex, a 1-year-old from Guyana, desperately needs your help. 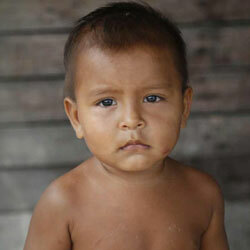 All across the Caribbean and Latin America children like him are slowly starving due to lack of food.